to the global markets of the world. or contact us by phone at 888.227.9856 or email at sales@propay.com. The global marketplace continues to provide attractive opportunities for business growth.We can help you to capitalize on that potential. Together, we’ll take your company to global markets and empower you to ACCEPT and MAKE payments in multiple international countries and currencies. Whether you're an established business or a startup, we'll help you reach and engage new customers. And give current ones more reasons to remain your loyal customers. ProPay is a Payment Card Industry (PCI) Level 1 certified service provider. A wholly-owned subsidiary of TSYS (Total Systems Services), we process billions of transactions per year for some of the most recognizable brands on the planet. TSYS (NYSE: TSS) is a top ten global processor that supports numerous industries, governments, non-profits, financial institutions and direct selling organizations in over 80 countries. 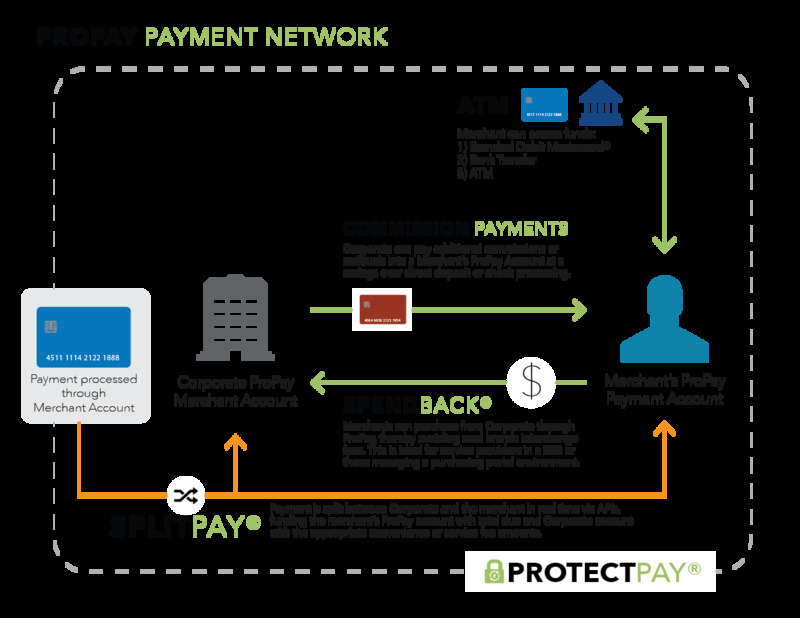 ProtectPay®, ProPay’s encryption and tokenization service, allows companies to accept credit cards, debit cards and ACH payments without storing, processing or transmitting the data. Utilizing ProtectPay can help to significantly reduce your company's PCI DSS obligations and allow you to focus on your business. ProPay's ACH payment solution provides a simple, secure and affordable way for clients to process ACH payment data. Additionally, through its ProtectPay suite of services, ACH payment data can also be encrypted and tokenized so that it can be securely processed and stored. Reduce credit card transaction declines on auto shipments or periodic billing by updating customer credit cards automatically with ProPay EnsureBillSM service. You'll also reduce customer service calls. ProPay's Guardian CyberShieldSM powered by ThreatMetrix® offers a comprehensive, layered payment fraud protection and prevention solution that works well across a wide range of business scenarios. With a flourishing mobile business, you need a payment solution that enables expedient, affordable, secure payment processing. The ProPay Mobile App, the ProPay JAK™ and ProPay FLASH allow you to conduct business wherever you are, with or without mobile coverage. The ProPay Payment Network allows for the immediate movement of funds between ProPay accounts with features like SpendBack® and SplitPay®. Customers who use our network enjoy added flexibility, speed and savings in their payment processes. SpendBack is essentially a "Payment Intranet" that lets distributors pay for wholesale orders directly from their ProPay account at significant savings to the wholesaler. ProPay SpendBack can significantly decrease the cost that companies pay on wholesale orders and promotes distributor activity by simplifying the wholesale purchase process. SplitPay enables payments to be "split" at the time of transaction between multiple parties. With SplitPay companies can split transaction proceeds between the distributor and the wholesale organization. It can also integrate into distributor websites and allow them to instantly recognize commissions on internet sales that are received into their ProPay Account. Quickly pay independent contractors or distributors when you use ProPay Commissions. The funds can be accessed by consultants or sales agents through a company-branded Prepaid Debit Mastercard®*. Our clients can pay out in more than 180 countries/regions and more than 130 currencies. If you offer replicated websites for your field representatives, we can outfit them to accept payments. SplitPay can be integrated into personal websites to facilitate both commission and wholesale payments. Questions about our Enterprise Payment Processing solutions? Contact Sales at 888.227.9856, email sales@propay.com.